I was going to start this week’s Music Monday post with “No band is more closely associated with Winnipeg than The Weakerthans”, but then I remembered a little group called The Guess Who. Let’s just agree that The Weakerthans are the current standard bearers for the ‘Peg, and they are beloved by all who call that city home. If you’re a fan of elegant songs, intelligent lyrics, and fine musicianship, these are your guys. They will be on tour in Ontario this week – you can catch them in Peterborough on August 6th, at the Wolfe Island Music Festival (across the bay from Kingston) on August 7th, and at the vaunted Edelweiss Tavern in Kitchener on August 8th. Jim Bryson will be opening for them, and then he’ll perform with the band at the Ottawa Folk Festival the following weekend as part of a new collaboration. While it’s fair to say I love all of their songs, I’ve been listening to Night Windows a lot lately. It’s partly because I’m learning the guitar part, but the words also keep running through my head – especially “But you’re not coming home again, and I won’t ever get to say…” If you’ve lost someone close to you, that line has some bite. Here’s a live version from the 2008 Polaris Music Prize concert at the Dakota Tavern. 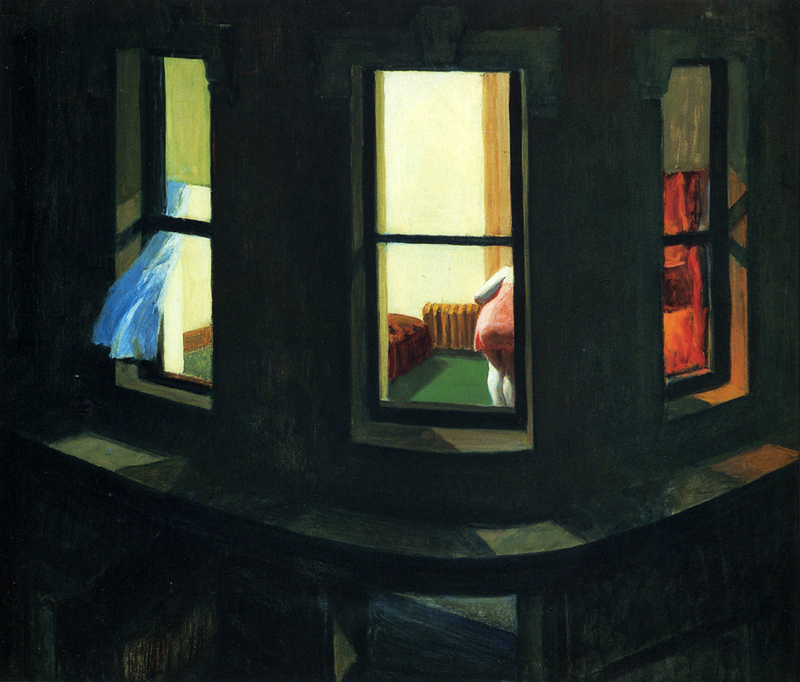 Incidentally, John named the song after the Edward Hopper painting of the same name. If it gives you greater insight into the song, here’s the painting.